***WILL-DO! *** What can a “WILL-DO” attitude do for you? Well, Will deals mostly in Residential Re-Sales, Waterfront Properties, 1031 Tax Exchanges, Investment Properties, Lots and Land, New Homes (construction), and Referrals. As a result, he is uniquely qualified to meet most any of your Real Estate needs. If you think Will might be able to help you then please give him a call today at (850) 321-2111 or by e-mail at NoPlaceLikeHome@WillShepherd.com Will PROMISES that you will never have to wait more than 24 hours to get a response from him. No other REALTOR in the surrounding areas has publicly made that same committment! That is his personal pledge to you. ***WHERE THERE’S A “WILL” THERE’S A WAY! *** Will is the former Executive Director of SHEPHERD ACADEMY, INC., a private school that was located in Tallahassee, FL, since 1983 and originally founded in St. Petersburg, FL, in 1976. SHEPHERD ACADEMY catered specifically to the individual needs of students with various learning styles. He is also the former Secretary of the Board of Directors of SHEPHERD EDUCATIONAL SERVICES, INC. (a 501 (C)(3) not-for-profit corporation) he helped to create in order to provide educational assistance to underprivileged children. He very much enjoyed nurturing young minds and educating them for the future. 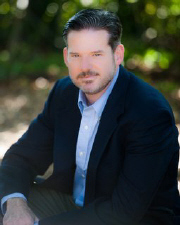 Will has also been involved in countless other business ventures and personal endeavors and remains today a Registered Lobbyist before the State of Florida's Governor's Office, State Senate, and State House of Representatives. So, What is Will like as a PERSON? This page has been visited 31,887 times.